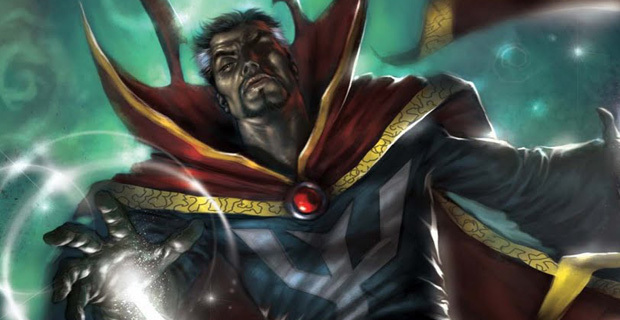 Marvel Has Found A Director For ‘Doctor Strange’!! As some people at Marvel are still scrambling to find a director to replace Edgar Wright for ‘Ant-Man‘, others have just hired on Scott Derrickson to helm the big ‘Doctor Strange‘ project. Doctor Strange first appeared in issue number 110 of ‘Strange Tales‘ back in 1963 where he as a neurosurgeon who is the head protector of Earth against all mythical and magical creatures and threats. Derrickson is a horror movie director and has made ‘Sinister‘, ‘The Exorcism of Emily Rose‘, one of the ‘Hellraiser‘ direct-to-video movies, and the upcoming ‘Deliver Us From Evil‘ film amongst others. One of those others was the remake of ‘The Day the Earth Stood Still‘, so he has had big blockbuster experience.This is an interesting choice for the a big Marvel movie, but with Strange dealing with these mystical evil forces, a horror director seems the right way to go. Marvel is now looking to hire a writer to pen the script and we hear that Jon Aibel and Glenn Berger are being courted. These two guys have written several movies together in the past and basically come as a duo. They have written almost all family friendly films including all of the ‘Kung-Fu Panda‘ films, ‘The Chipmunk‘ sequels, and the upcoming ‘SpongeBob SquarePants‘ sequel. Odd decision there. I’ve been looking forward to a ‘Doctor Strange‘ movie for a while now, and this is definitely an interesting hire for a big Marvel film. Can’t wait to see who is cast for the good Doctor. This entry was posted on Tuesday, June 3rd, 2014 at 5:28 pm	and is filed under Comics, Film, News. You can follow any responses to this entry through the RSS 2.0 feed. You can skip to the end and leave a response. Pinging is currently not allowed.